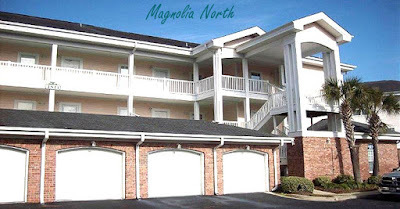 Established in the mid-2000’s, Magnolia Pointe was designed around the Myrtlewood Golf Club, near the heart of Myrtle Beach just off the bypass. The popular condo community has seen several expansions since its inception and offers a variety of elegant, older and newer units. These spacious condos are up to 1600 square feet in size and feature elevators and garages. All units have 3 bedrooms and large living areas. Large landscaped ponds throughout the newer sections of the community provide peaceful water views from all condos. Units are priced from $175,000 to $200,000. Students attend Myrtle Beach Elementary School, Myrtle Beach Middle School, and Myrtle Beach High School. There are biking and walking trails around 2 scenic lakes, several community pools, a driving range, 2 golf courses, and picnic areas with grills. 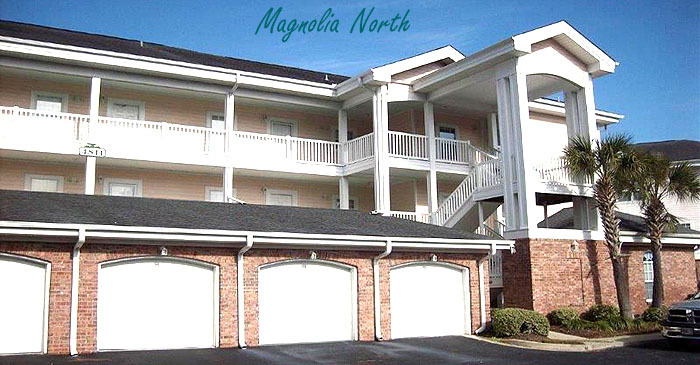 The Magnolia North condos were developed in 2004. The 3-story buildings with garages on the ground floor, feature 2 and 3-bedroom units with stunning views of golf course greens. 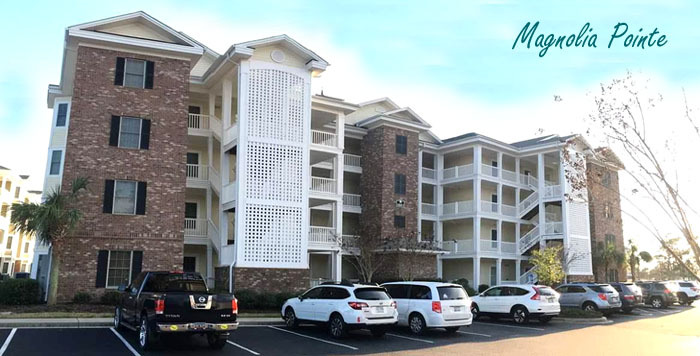 Offering some of the best values on the Grand Strand, two-bedroom condos can run as low as $140,000. If you have been dreaming of a golf course home, this community is everything you could ask for from a great location to excellent amenities. Visit our website for more information and to view available units. Call our real estate professionals with any questions you might have and schedule a private tour of the condos for sale in Magnolia Pointe today.